That's the release date for Hilary Hahn's new CD of the Tchaikovsky Violin Concerto (one of my favorites). Its coupled with the premiere recording of the Higdon Violin Concerto (which won the Pulitzer Prize for Music this year). Looking forward to hearing this new work as well. AND HH is on the cover of BBC Music Magazine next month. Its going to be a nice autumn. That's the release date for Hilary Hahn's new CD of the Tchaikovsky Violin Concerto (one of my favorites). Its coupled with the premiere recording of the Higdon Violin Concerto (which won the Pulitzer Prize for Music this year). Wow, the Tchaikovsky violin concerto! I wonder what it's like. BTW I think it's a lovely piece of music, but a new recording of this piece everyone has recorded, I cannot see that as a life changing experience. 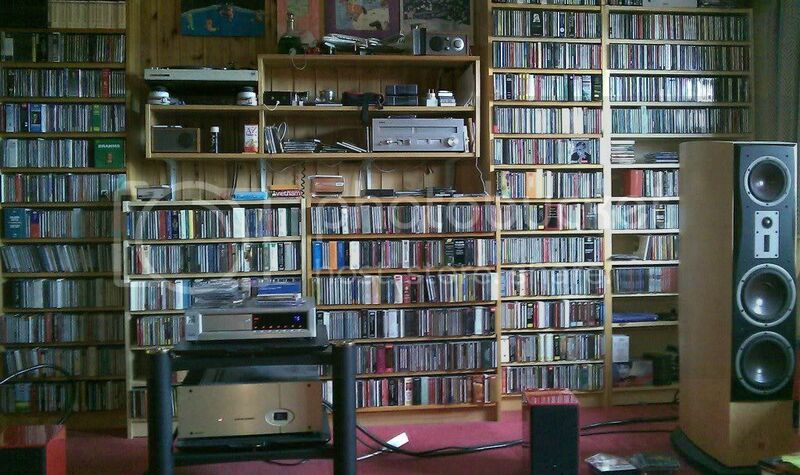 It's played so often in concert that I don't see any need to listen to a cd recording, though I have a couple (inevitably); which brings one to the issue of the ever shrinking repertoire. Violin concertos: Beethoven, Brahms, Sibelius, Tchaikovsky. No need to program anything else, people might get upset. If you're into that particular performer I can see the interest, but as an issue of a recording of a piece of music it is totally without interest. Just for information: What orchestra(s)? The Royal Liverpool Philharmonic. Interestingly, the Higdon gets top billing, in so far as that matters. I'll be a campy happer. Well, it guarantees that the orchestra will give a really strong, lively, interesting accompaniment - if it's anything like Petrenko's turn in the No 2 role for Simon Trpceski on Avie, or for Eldar Nebolsin on Naxos. Of course, I imagine DG will have recorded the CD so it sounds like Hahn is 50 feet in front of the rest of the players. Generally people do buy concerto recordings from big name soloists for the conductor. I'm not familiar with her music but caught the online interview HH did with her. We tend to have similar tastes Brian so I'm interested on your take of Higdon. Well I definitely wouldn't buy the recording for the Jennifer Whatshername Violin Concerto. Whatshername is one of the worst contemporary composers I've heard. It amazes me that the Whatshername concerto gets top billing on this recording. The Tchaikovsky is an old workhorse, but it's still a great work in my opinion. I would like to hear Hahn tackle some more lesser-known repertoire. Since she recorded RVW's The Lark Ascending, I would like to hear her play his Concerto Academico or even Myaskovsky's Violin Concerto for example. There are so many better composer's music that she could easily advocate and champion. Mmm, imagine HH doing the Dvorak, Wieniawski No 2, and Coleridge-Taylor. I'd buy THAT. Higdon's blue cathedral is the work I have heard of hers. It was an attempt to pander to the audience without really being pretty, somewhat Hollywoody without being expressive, and required the string players to shake these little metal things which made an "alien spaceship" noise for several minutes. I like a good hoke-fest, but only if it endorses its hokiness and goes for splashy tunes and fun. Pretentious hokiness is just weird. I'm telling you Jennifer Whatshername is awful. There's nothing remotely honest coming from her music at all. It's all smoke and mirrors to me. I'm just surprised to see her Violin Concerto being released so quickly when there are other composers more deserving to be performed. I'm just surprised to see her Violin Concerto being released so quickly when there are other composers more deserving to be performed. According to whom, other than you? The marketing for the disc seems pretty clear. 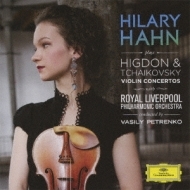 Hilary Hahn is playing some core rep along with something new, and by a female composer no less. It will make for interesting interview subject matter, show Ms Hahn as championing new music, and so on. Someone like Myaskovsky, well, pretty much no one cares about his music, and it doesn't make for interesting press. Spoken like a true PR person instead of a classical fan. Profits are so important aren't they to you? The marketing aspect of the music is always more important than the music isn't it, Toad, I mean Todd. P.S. There are plenty of people on this forum that cares about Myaskovsky's music. Go to his composer thread and look for yourself. Your ignorance is overwhelmingly disappointing.